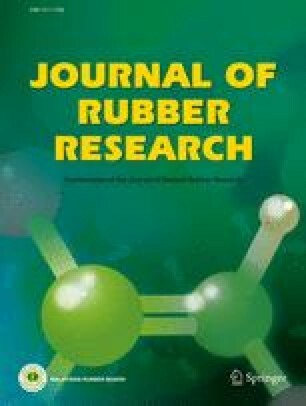 Improvement of cold tolerance in rubber tree is essential for sustainable increase of natural rubber production when the planting region has been extending outside of the traditional areas. In the present study, physiological responses to cold stress were determined in two rubber tree clones with differential cold tolerance. Upon cold stress, the level of endogenous hydrogen peroxide was significantly higher in the cold-tolerant rubber tree clone 93–114 than that in the cold-sensitive rubber tree clone Reken501 at the time intervals of 2 h, 4 h and 48 hours. The level of vitamin C (Vc) and proline within 48 h and glutathione (GSH) within 8 h in the cold-tolerant clone was significantly (P<0.05) higher than that in the cold-sensitive clone. The activity of superoxide dismutase (SOD) and peroxidase (POD) within 48 h and catalase (CAT) within 12 h was significantly (P<0.05) higher in the cold-tolerant clone than that in the cold-sensitive clone. By contrast, the content of malondialdehyde (MDA) within 48 h in the cold-tolerant clone was significantly (P<0.05) lower than that in the cold-sensitive clone. The content (μmol/ mg·FW) of chlorophyll a and b changed between 2.12±0.1 and 2.52±0.09 and between 0.41±0.03 and 0.53±0.01 at most time intervals in the cold-tolerant clone, which was approximately as the control value (2.25±0.04 for chlorophyll a and 0.49±0.03 for chlorophyll b). The content of chlorophyll a and b significantly (P <0.05) decreased from the control value 2.24±0.11 and 0.5±0.03 to 1.65±0.15 and 0.30±0.04 within 4 h under cold stress in the cold-sensitive clone. The cold tolerance of rubber tree clone 93–114 may be associated with the pulsed production of endogenous hydrogen peroxide and the enhanced activation of the enzymatic and non-enzymatic reactive oxygen species (ROS) scavengers in response to cold stress.